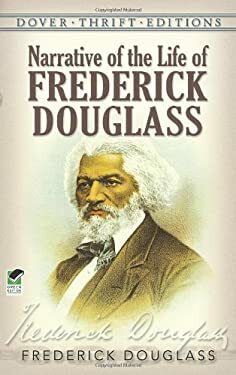 Written more than a century ago by Frederick Douglass, a former slave who went on to become a famous orator, U.S. minister, and a leader of his people, this masterpiece is one of the most eloquent indictments of slavery ever recorded. Douglass's shocking narrative takes the reader into the world of the South's antebellum plantations and reveals the daily terrors he suffered as a slave, shedding invaluable light on one of the most unjust periods in the history of America. Published for the first time as a Signet Classic. Used Good (21 available) Shows some signs of wear, and may have some markings on the inside. 100% Money Back Guarantee. Shipped to over one million happy customers. Your purchase benefits world literacy! Used Like New (1 available) Book in almost Brand New condition. 100% Money Back Guarantee. Shipped to over one million happy customers. Your purchase benefits world literacy! Used Very Good (3 available) Great condition for a used book! Minimal wear. 100% Money Back Guarantee. Shipped to over one million happy customers. Your purchase benefits world literacy!